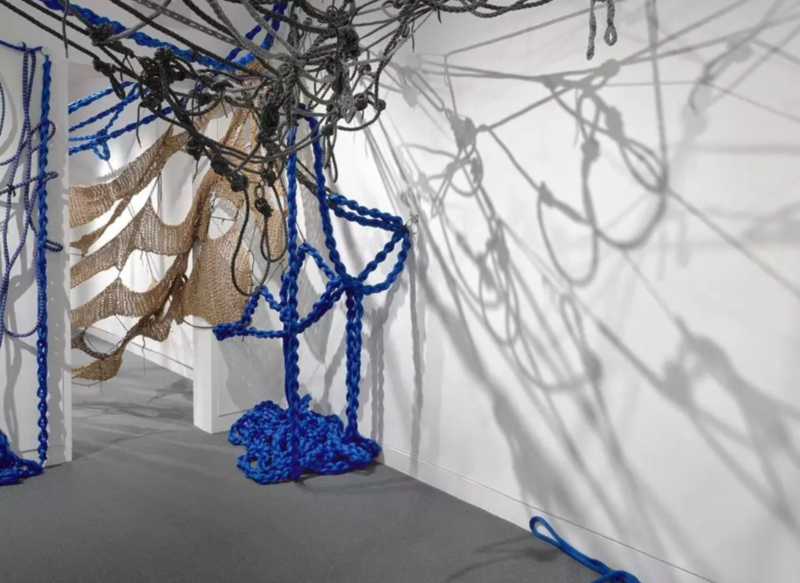 "morphing, coiling, pendulous installations, often made of neon-colored shoelaces, derby rope, and nautical towline, are also festive and somehow cozy, like your grandma’s afghan gone haywire. The artist, who crochets these things herself, has become the spider. She has entered the shadow, turned the lights on, and found the place hospitable."